The Rose Festival in Kazanlak is one of the most famous festivals in Bulgaria and welcomes thousands of tourists from all around the word. 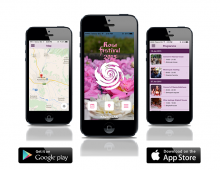 In order to inform these visitors the Kazanlak municipality asked us to build a Mobile Festival App. 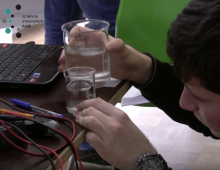 InnoFair is the largest pre-college science competition in Bulgaria. The event aims to promote ideas, discoveries and inventions of young researchers with an interest in science, technology and innovation. 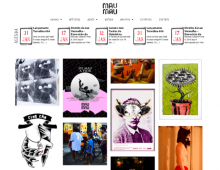 MauMau is an art place in Recife, Brazil which is housing plural activities and dialogues that stimulate local production and exchange between artists. Most of the space is devoted to workshops, exhibition and other activities related to art work. Next Door Fair (NDF) is an initiative providing easy access to sustainable products and services. Their online platform support neighbour-to-neighbour connections by geographical region. GP Travel asked us to develop a website that showcases the wide viarity of trips that they offer. Clients can choose between local Bulgarian events by bus, city trips by plane or go for a cruise to the Carribian. For the 5th consecutive year ATA48 delivered the Impact Assessment and was part of the Awareness Campaign on the European Researchers’ Night in Bulgaria. This mega event takes place every year simultaneously in different cities all over Europe. JobTiger asked ATA48 to conduct an evaluation survey of their last Career Days. 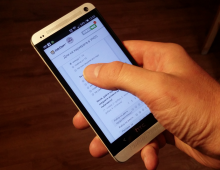 Participants could fill the survey – accessible by QR-code – using there own tablet or smart phone, either by Wifi or 3G connection. 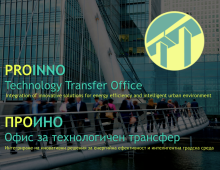 Proinno is a project that encourages the collaboration between Bulgarian research organizations and commercial companies. It connects the ‘creators’ of knowledge with the ‘users’ of knowledge. ATA48 recently delivered their Virtual Office. 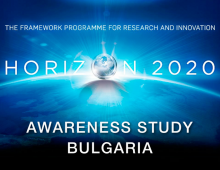 In the beginning of this year we developed an online survey that measured the awareness and expectations that Bulgarian organizations have on the new EU framework program HORIZON 2020. 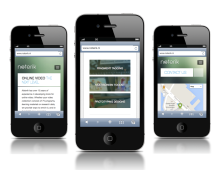 We developed the fully responsive website that Noterik uses to communicates their online video products. ATA48 was responsible for the front-end implementation and developed the CMS functionalities based on WordPress. 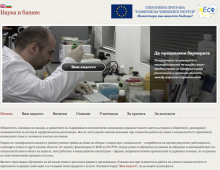 Together with the Club of Young Scientist we conduct the Impact Analyses of the Researcher Nights in Bulgaria. Researchers Night is a yearly European event that is organized in more then 300 cities all over Europe. ATA48 produced the documentary ‘To Overcome the Barrier‘. 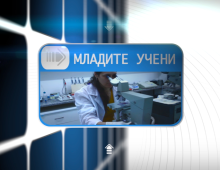 The movie describes the way Bulgarian PHD students are trained to communicate about their expertise and the way their work contributes to the innovation power of the company that they are working for. Commissioned by Gudevica we are evaluating a reintegration project on dropouts of the educational system in Bulgaria. The research started with a survey that measured the knowledge and motivation of the student before the start of the program (zero measurement). ATA48 made the documentary ‘Broad Band Africa‘. 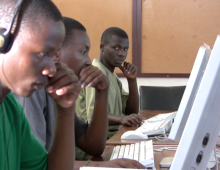 The movie shows the perspective that people in rural areas of Tanzania have on the use of ICT. 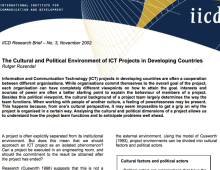 It handles different pilot projects and describes the national ICT policy of the country. 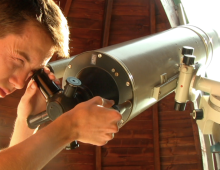 ATA48 made seven short movies on star observatories that do scientifically research in Bulgaria. The movies show the research that is done, the technology that is used and include impressive images taken from our universe. 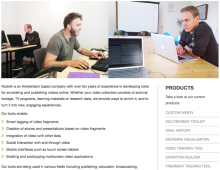 Of course we also build our own website. It is fully adaptive, so it looks good on phone, tabled and desktop computer. 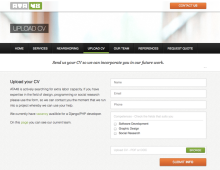 It gives inspirations quotes, shows an overview of our references and offers talented Bulgarians to upload their CV. 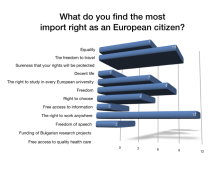 ATA48 conducted a survey that focused on the image that the Bulgarian scientific population has on the Joint Innovation Center in Sofia. A link to the survey was distributed by email and the participants could answer the questions online. For the presentation of a training program ATA48 made the video website www.nauka-i-biznes.tv. The site contains a documentary of 40 minutes and shorter video clips of the 28 PHD-students and 12 companies that where involved in the training program. Building a simple but representative website can be done without the help of a real designer and programmer. 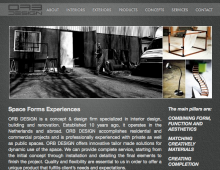 By combing some (free) online tools we can create a template for your website, your pictures and text will do the rest.